tonight on the craft-tastic live webcast, i showed some super easy techniques to create pretty backgrounds for the pages of a heart-shaped blank board book. i borrowed lyrics from rock ballads for some of the sentiments. rock ballads are full of great ways to tell someone you love them...much nicer than what the greeting card people write, i think! getting ready for cha cha cha! it's that time...every january, i go to the craft & hobby association trade show (aka cha). i'll be in the c&t publishing booth, showing off all our fabulous books and products. i'm getting lots and lots of samples ready to demo tap transfers and paint stamping on fabric and canvas books. I'll also spend some time in the petersen arne booth showing off some techniques inspired by projects in our stash books titles. i'm really looking forward to spending time in our booth with some wonderful c&t authors who will demo - jake finch, rebekah meier, and alissa haight-carlton. plus the madly talented suzi blu will be painting with us for a bit! in addition to booth demos, i'll be showing off some fun products and ideas on the cool2craft webcast and the charity wings webcast. then there's the parties...cha has two big receptions planned, so it will be quite the weekend! i just updated the events page on my website, so you'll know where to find me online and in-person for demos, interviews and good times! 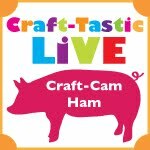 i have lots of fun projects and techniques to share - starting with a demo on the craft-tastic live! webcast on tuesday, january 25 at 6:00pm PST (9:00pm ET). The theme is "red romance" so i'm showing you how to create a heart-shaped journal of love songs - don't miss it! click here at show time, type in your name, and then sit back and enjoy the hour. watch us demo live, ask questions, and chat with people all over the country. 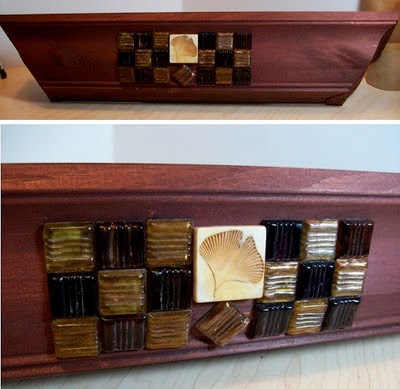 tonight on wednesday night live, i shared some cool textural painting techniques for decorating an indie file box. click here for the replay link if you want to watch the show and have some fun! my crafty sistah andrea currie was my guest demonstrator - her project rocked! here's my finished box - i dabbed a stucco-ish texture on the sides, then added a curvy scraped pattern to the top with a paint scraper tool. after that was dry, i stamped it heavily and randomly with dark purple ink. i used a dahlia shaped stamp and overlapped it all messy-like. i used a marker to line the edge all around the lid to finish it off. then i adhered some cute ribbon and a giant button and done! click on the pics to see them larger for more detail. here's a link to another pretty indie file box i made a couple years ago - turned out nice, looks like a black lacquered finish. last wednesday in the digital lounge, i showed how easy it is to use tap to transfer photos to white cotton, then use fast2fuse to stabilize the fabric and create cute little photo placards. starting with a 5x7" blank board book, i adhered strips of batik fabric to papers with gel medium for the background pages. it's a quick and easy way to put together a scrapbook of your favorite halloween costumes, or for any occasion! 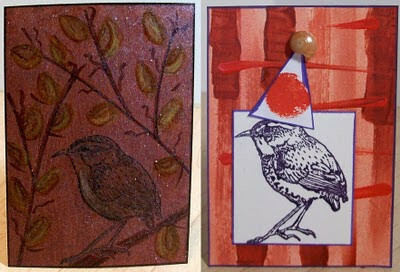 got a cute little birdie stamp....had to test it out on a couple atc's! i needed a little shelf to display some of my board books - so happy with how easy it was to paint and embellish my own 18" shelf in about an hour! just a quick note to make sure you know about all my video tutorials on my website - from various episodes of cool2craft that i did last year. and then click here if you want to hang out for an hour and watch the hilariously insane season finale episode of andrea currie's craft-tastic live, where she "breaks into my house" with her hubs cliff, and she starts crafting in my studio while cliff is digging around for stuff to steal, lol! i show up about 15 minutes in, the whole thing was a little secret surprise, it was soooo much fun - and some great craft demos too! so i'm hosting a new weekly webcast for c&t publishing (how much do i love my job!) called wednesday night live. on our first show last night, i demo-ed how to make this pretty cover for a board book....it can become an art journal, a scrapbook, a recipe book, a place to glue in the atc's you collect...board books are so versatile, i just love 'em. here is the replay link for the show - i hope you enjoy it, and i hope you'll be inspired! visit my website for discounted prices on almost all the things you need to make one of these for yourself! join me (and guest demonstrators too) every wednesday night (6pm pst; 8pm ct; 9pm et) in c&t publishing's digital lounge for free, live and interactive demos and lots of fun chatter with people all over the world. there are a few discount home fabric stores near me, where i love to pick up inexpensive embroidered appliqué patches like this flower. combining stripes and circles always makes for a fun card! i made this little "reader necklace" for my mom to attach her reading glasses and hang them around her neck. 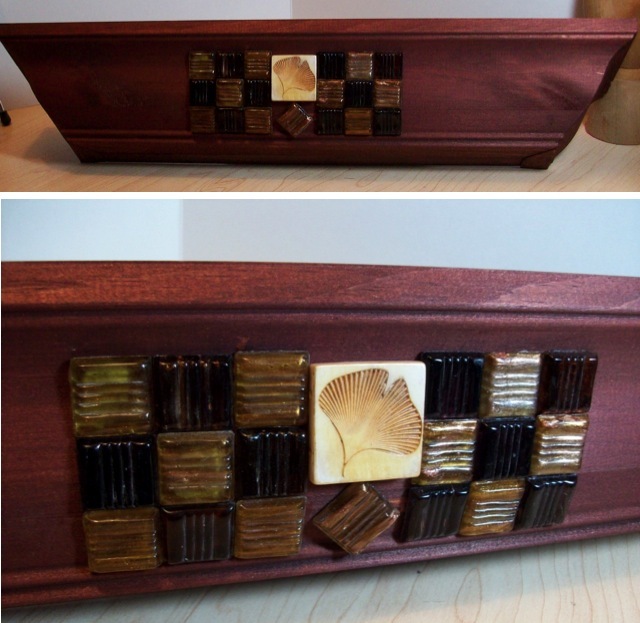 i used a strong and smooth nylon-coated stainless wire with crimping beads to float two groups of decorative beads just on the sides. having no beads on the back makes it lightweight and more comfy against your neck. made from a fun paper pack called "victoria" from 7 gypsies.